From the halls of Montezuma, to the shores of Tripoli, We fight our countrys battles in the air, on land and sea. 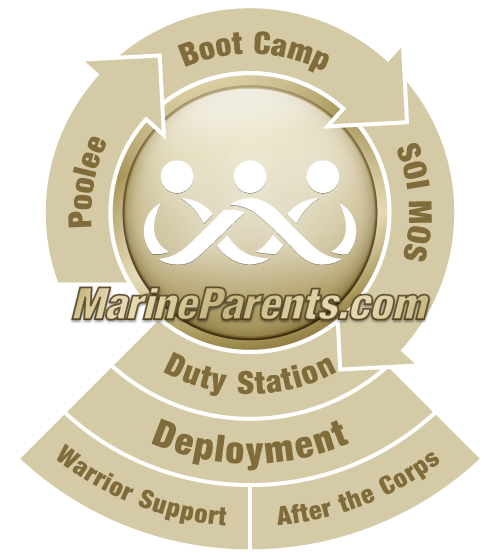 Click for more "Must Know" Marine Corps Facts. Following the Barbary Wars of 1805, the Colors of the Corps were inscribed with the words "to the shores of Tripoli." After the capture and occupation of Mexico City in 1847, the Colors were changed to read "from the shores of Tripoli to the Halls of Montezuma." These events in Marine Corps history are the origin of the opening words of the Marines' Hymn. Tradition holds that the words to the Marines' Hymn were written by a Marine serving in Mexico. In truth, the author of the words remains unknown. Colonel Albert S. McLemore and Walter F. Smith, Assistant Band Director during the John Philip Sousa era, sought to trace the melody to its origins. It was reported to Colonel McLemore that by 1878 the tune was very popular in Paris, originally appearing as an aria in the Jacques Offenbach opera Genevieve de Brabant. John Philips Sousa later confirmed this belief in a letter to Major Harold Wirgman, USMC, stating "The melody of the 'Halls of Montezuma' is taken from Offenbach's comic opera..."
*On 21 November 1942, the Commandant of the Marine Corps authorized an official change in the first verse, fourth line, to reflect the changing mission of the Marine Corps. The new line read "in the air, on land and sea." That change was originally proposed by Gunnery Sergeant H.L. Tallman, an aviator and veteran of World War I. Shortly after World War II, Marines began to stand at attention during the playing of The Marines' Hymn, Today that tradition continues today to honor all those who have earned the title "United States Marine." 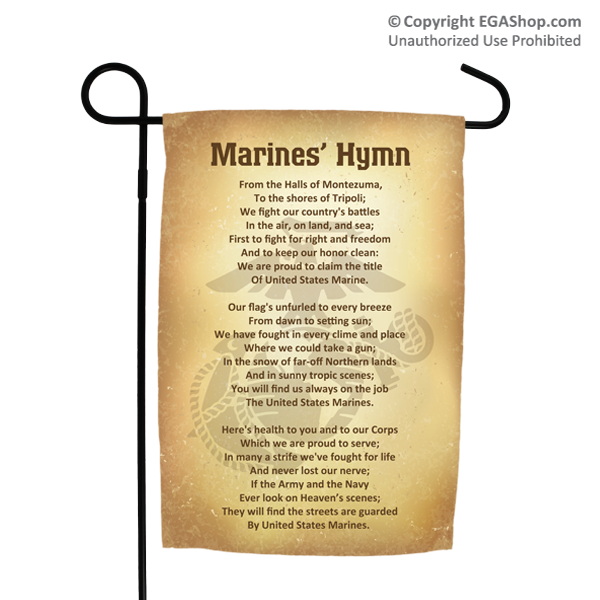 Click to purchase The Marines' Hymn Garden Flag from the EGA Shop, where every purchase supports our troops.